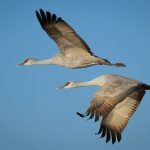 What is the Best Focal Length Lens for Bird Photography? 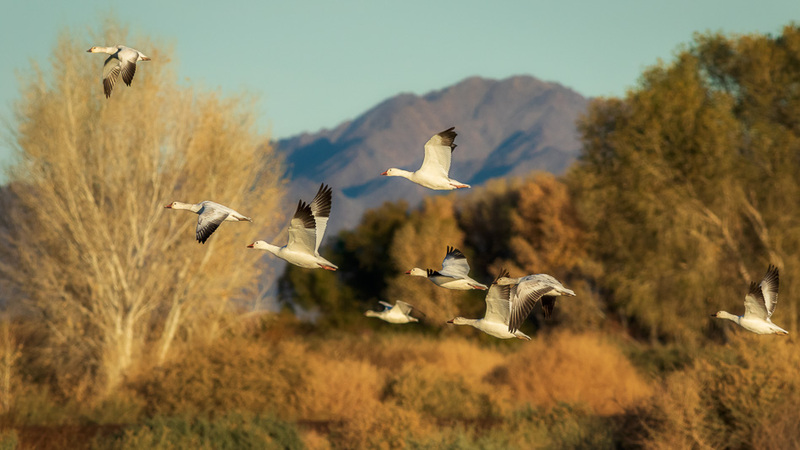 Last winter I returned to one of my all time favourite bird photography destinations: Cibola National Wildlife Refuge which is on the border between California and Arizona. During my first visit to Cibola the previous year, I discovered some problems with my wildlife photography gear, which resulted in my not getting any long lens photos. Bummer! That was one reason why a return trip was on my agenda this year. But even now that I’ve experienced it twice, the location is so phenomenal that I’ll probably visit again and again. One thing I learned during the first visit was the value of the short lens when it comes to photographing birds. Now I have a new appreciation for the gear that would not normally leave my bag on a wildlife trip. It changed my whole approach to bird photography! 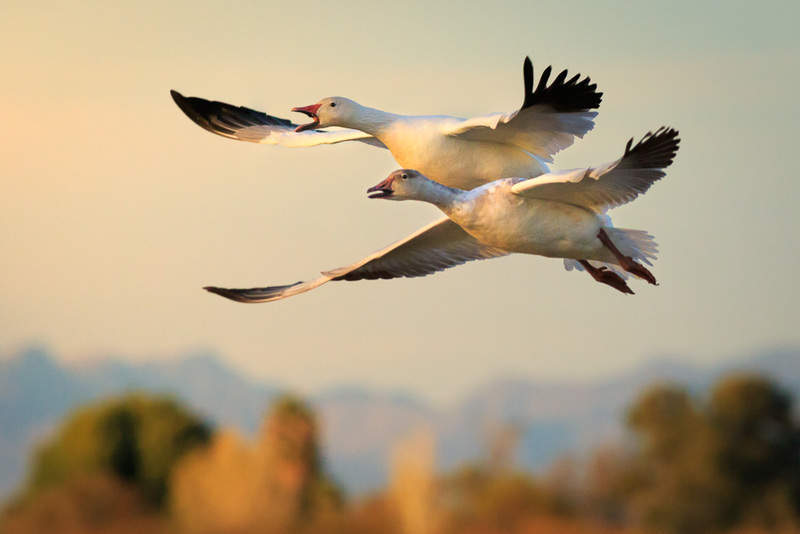 When photographing birds, most people put on their longest lens, try to get as close as possible, and fill the frame. 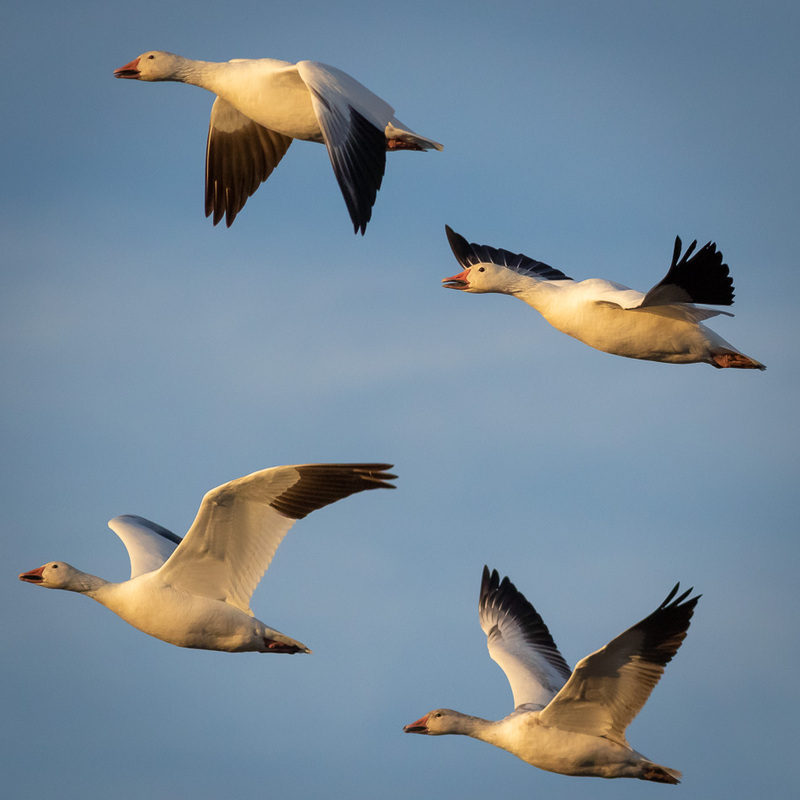 Those kinds of photos are important, of course, but there are many other types of photos to be made that all come together to tell a story about the birds and their location. I believe this first step is critical if you want to make dramatic images that convey a feeling for both the birds and the location. This is the part that happens while the camera is still in the bag. It can even happen on a white sky day or when the light is dull. You just watch. Sometimes I’ll spend an hour doing this, sometimes much longer. If the light isn’t good, I might spend days doing this. But it is always time well invested. Birds have patterns. Locations have patterns. You learn them by simply spending time watching. 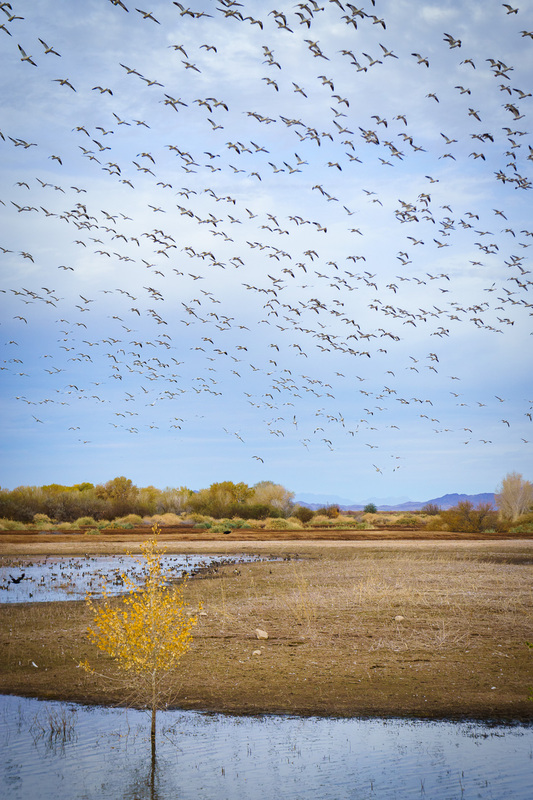 At Cibola, I learned that I could predict the timing of the great launch, when thousands of birds take to the air at the exact same moment, by listening to the sounds the birds make. Once I recognized the sounds, I had a 10 minute warning, which was just enough to make sure I was in one of my favourite spots at the exact right moment. Don’t forget about the background. If there is a particularly pretty stand of trees, watch and see what time of day the light hits the trees. It takes a lot of things to come together to make a dramatic image with impact. But you have to know what those things are first. Otherwise you won’t recognize the 10 minute warning that happens 10 minutes before the light hits the trees. One thing you can do while soaking up the experience is make photos that set the context using a relatively wide angle lens. 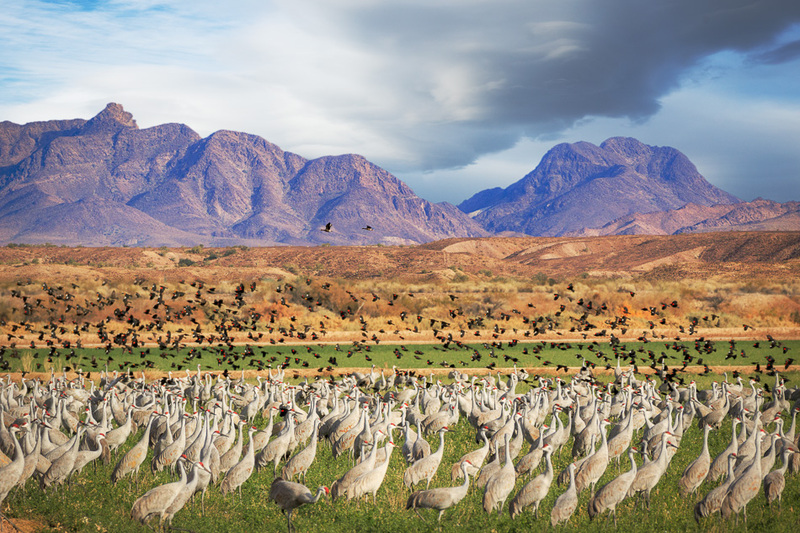 These are pretty much landscape photos that have the birds as a foreground element. These are the photos I would often forget to make because I was so focussed on getting close-ups with my long lens. Now I appreciate how important these photos are to conveying the feeling of a place. 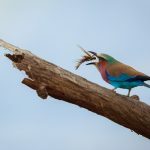 With either a medium or long lens, depending on how far away the subject is, try to capture some intimate details of birds in their environment. The principle is the same as capturing intimate details in a landscape. It’s just a portion of the scene where something in particular has caught your eye. But it’s not just a close-up of a bird. It contains some context so it has both the bird as a main subject and the location as a secondary subject. Once you’ve had time to observe and learn to predict the magic moments, you can put on that long lens and try to capture some unique bird behaviour. 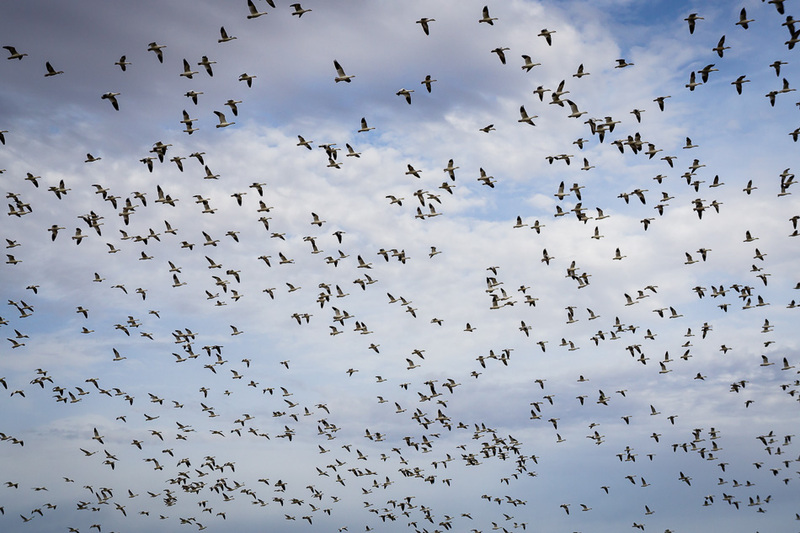 When it comes to birds in flight, I like to look for patterns or a few birds flying together in an interesting way. Usually these kinds of traditional close-up images are made with a wide aperture to blur the background, which ultimately removes the context. The bird could be anywhere. But it also creates dramatic images where all the attention is focussed on the bird. 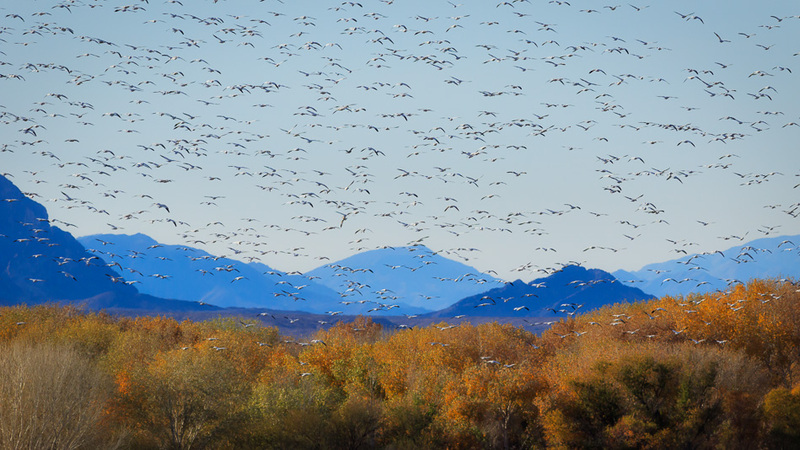 Another type of image I really wanted to capture during my visit to Cibola was the immense density of birds in the air at the same time. Most of time I used my longest lens for this, but the first image below uses a medium length lens. Check out the last goose in the photo below. It’s a Blue Goose!! 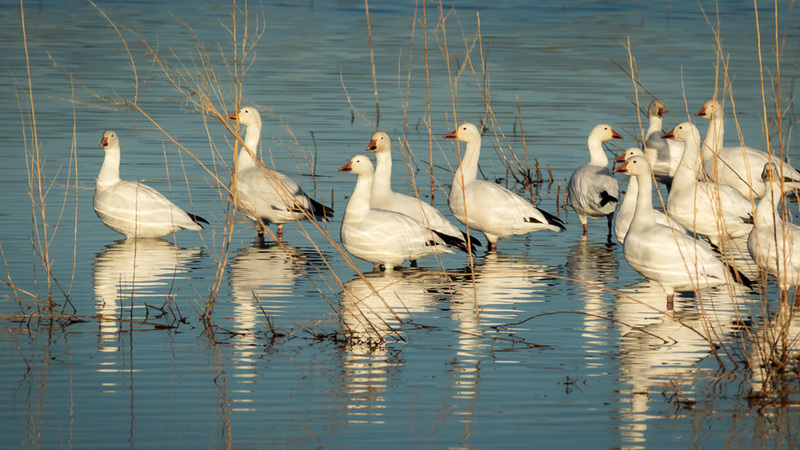 I didn’t even know I had it, or what a blue goose was, until I was processing the photos. 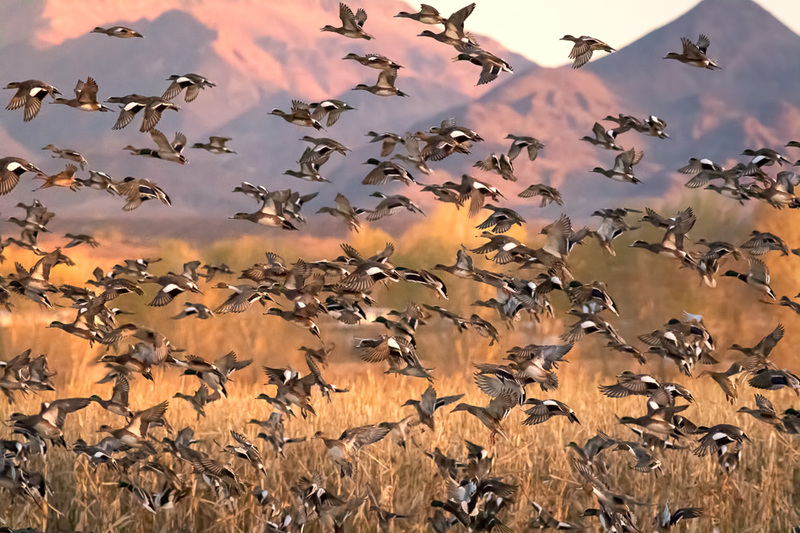 The American Southwest is an outstanding part of the world for bird photography! 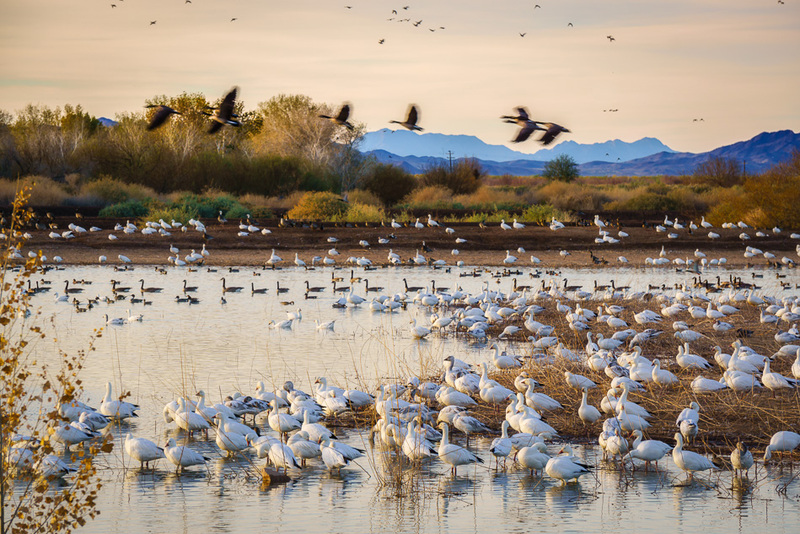 Migrating birds need wetlands to rest during their journey and these wetlands often provide a density of birds that you will not find elsewhere. 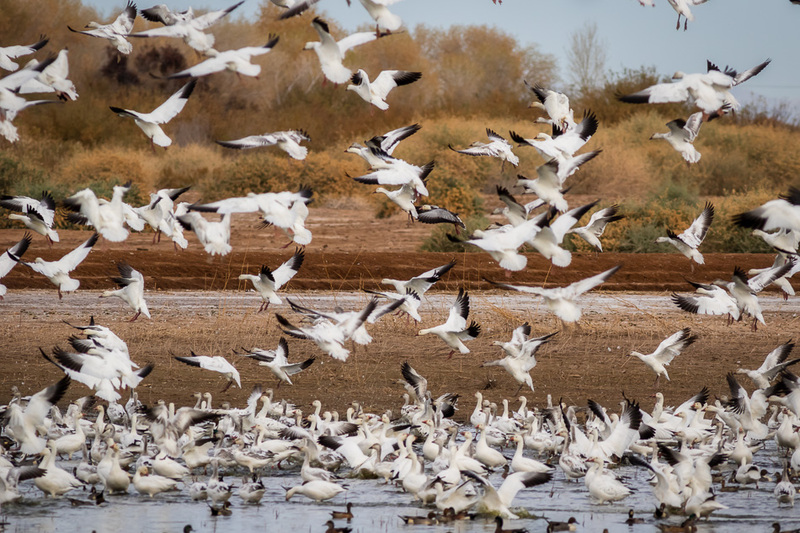 In addition to Cibola NWR, my other favourite locations for bird photography in the American Southwest include Whitewater Draw and Salton Sea. 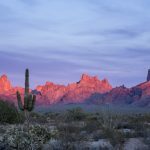 Do you have any recommendations for good bird photography locations in the American Southwest? I am always on the lookout for new locations, so if you know of any please let me know in the comments below and I’ll add them to my wish list for next season, which is coming up in a month now! 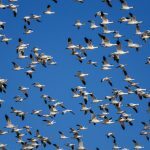 For more information about Cibola, read my first trip report from Cibola National Wildlife Refuge. During this trip, I did use my longest lens the most because that is what I missed during the first visit when my Canon camera broke. So most of the photos in this post were made with a longer lens. But there are plenty of short lens photos in the first post. When it comes to the short lens, instead of changing lenses on my Canon camera, I often find it easier to just bring along my Sony mirrorless camera so I can quickly switch. I made the short lens photos in this post with the Sony 18-55 lens, but they don’t make that one anymore. Since then I have replaced it with the Sony 16-70mm Zeiss lens which is a thing of beauty. 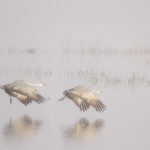 If you are looking for tips and techniques for photographing birds, including recommended camera settings, see my full tutorial on How to Photograph Birds. The are some really good photos. I’m looking at them on an iPhone, so I was wondering if the originals are ‘tack’ sharp? Of course they are!! Except for the ones I intentionally blurred of course 🙂 I was trying to make photos were the birds on the ground were sharp and those flying were blurred to show the motion. Thanks for your comments. Wonderful article and some great ideas. 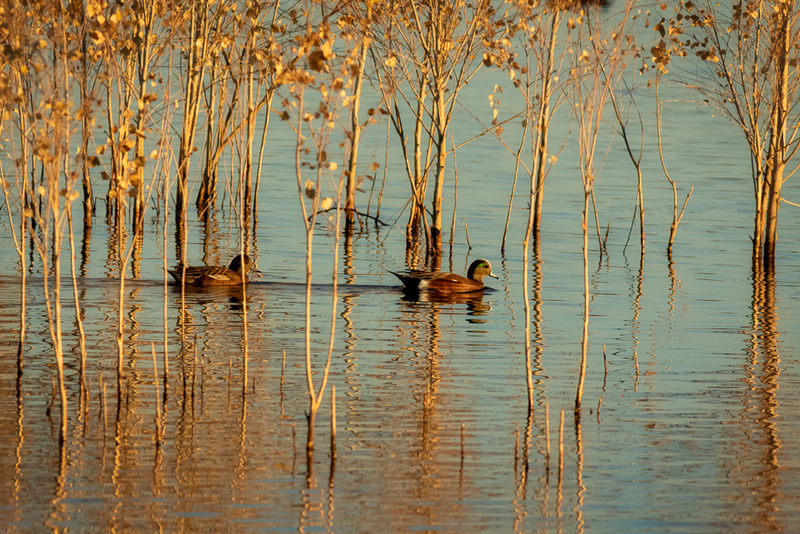 I love to go to our local wildlife areas and captures the birds. You’ve given me some new ways to do this. One of my favorite wildlife areas near where I live is the “Ash Creek Wildlife Area”. It is near the town of Adin in Northern California. 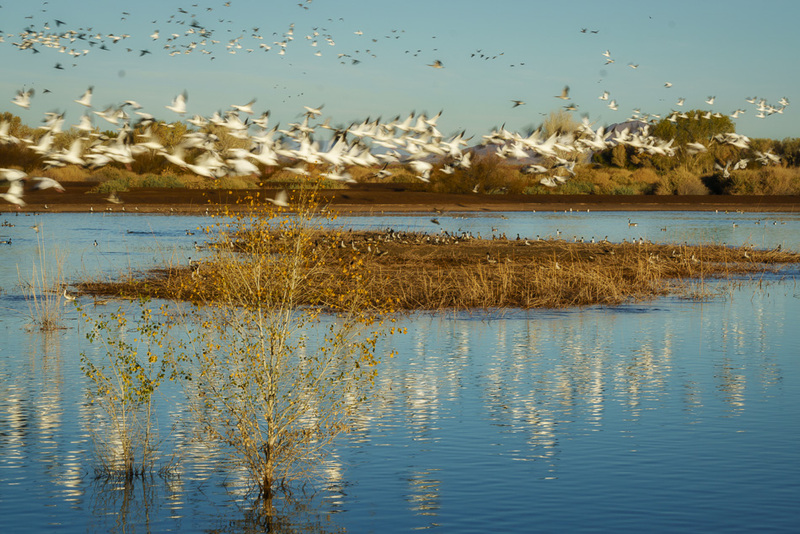 Another one is the “Modoc National Wildlife Refuge”. They have a page on Facebook with lots of wildlife photos. Thanks for the good read. Thank you very much for the recommendations Bob! I’ll look those up and maybe I can visit them on the next snowbird trip. Just a couple of weeks away now. Kearney NE on the platte River.in the Spring Sand Hill cranes off the charts. Also bird sanctuary About 30 miles North of Omaha NE Fall and Spring massive water fowl migration. Interesting, thanks for the tip Al. I haven’t been to Nebraska yet. Anne, we used to love going to Graylodge recreation area. There is a loop that you can drive to see birds I. Their natural habitat or you can walk around the area on foot paths. 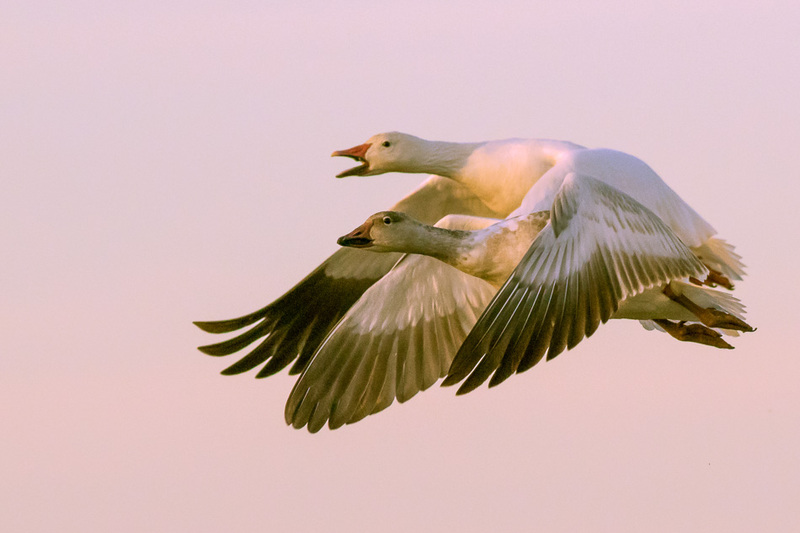 This is especially wonderful during February and early March because this area is on the fly way for the Snow Geese. Wonderful, thanks so much Julie! 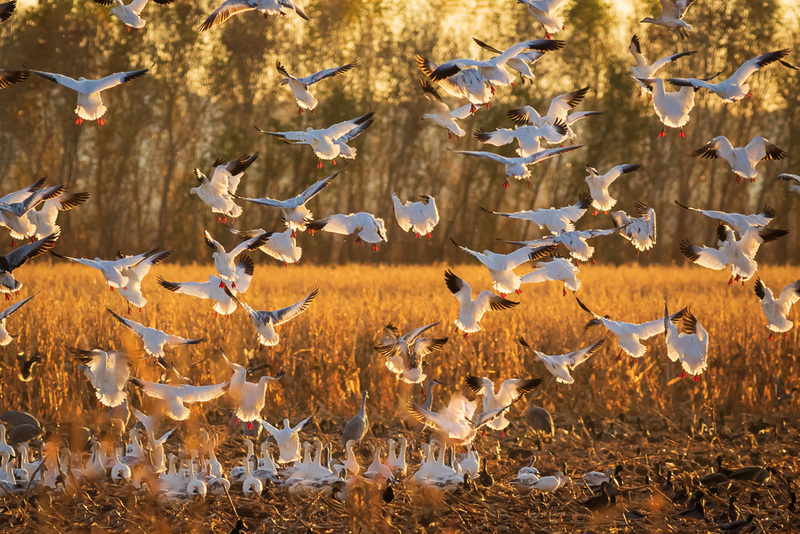 Love your bird shots and the fact that we don’t always have to use our longest lens to capture a great composition. Living in West Yellowstone. Come see us. We have hook ups in the driveway. Would love to photograph with you. Hey Brad and Kathy! Great to hear from you. You know we haven’t been to Yellowstone yet because it’s always November or April when we pass through the northern states, and that means snow. But now we have a four wheel drive truck, so we may change our snowbird path a little 🙂 Thank you so much for the invite, we will probably take you up on that! 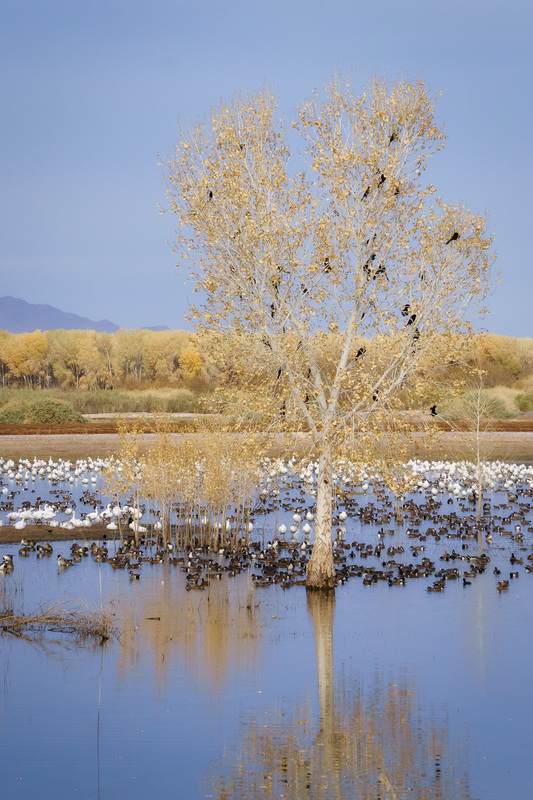 Bosque Del Apache in New Mexico is a very good spot, well it was a couple of years ago and it sounds like Cibalo are very similar. 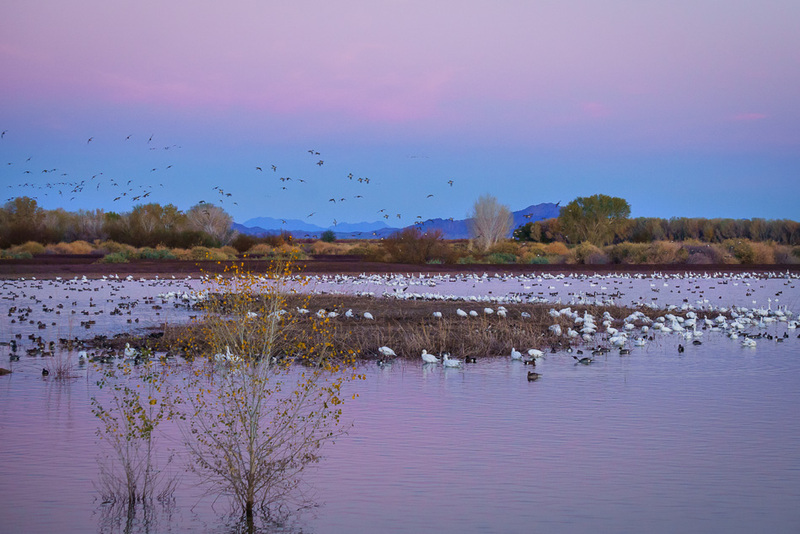 Hi Bob, I have heard a lot about Bosque Del Apache, and I’ve seen photos of a huge lineup of photographers. I guess it’s popular for a reason, but there were sooooo many people there! I’m always trying to get away from the crowds. Thank you for the recommendation though, I might have to bite the bullet and check it out. Anne, the only thing about Bosque is that you really need the super-photo lenses. If you look at those lineups they are all rigged with 500mm AND a 1.4x or 2.0x teleconverter or more. 400mm just is not enough for anything other than environmental shots like above. Believe me I have tried to think of any way, but I can only see it worthwhile if I rent a 500 or 600mm lens. 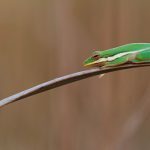 Hi Mark, I have used a 400 for all of my wildlife photography. As much as I’d like to use a 500, even if I rented one, they simply weigh too much for me. So sometimes I end up cropping my photos, but I don’t have a problem with that. When the sensors have so many megapixels these days, a little cropping is not an issue. Of course, the smaller the bird, the more difficult it is to use a 400mm lens. That’s when technique comes in handy. I don’t see it being possible when you’re in a huge group of photographers. Birds aren’t going to get close to that. But if you can find a place that is quiet, and you get there first and wait for a bird to come, you can get good shots with a 400. It just takes more patience. I almost accidentally deleted this post as I highlighted hundreds of email that I may not read and this one was in it.. Thank goodness I opened it and took the time to read and as always enjoyed reading and looking at your amazing captures. 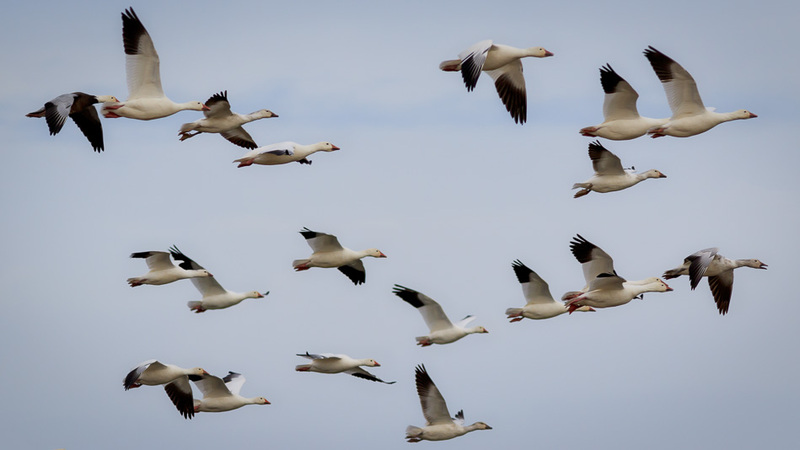 While I was living in Manitoba, I often visited a bird sanctuary there called Oak Hammock Marsh, this time of year, there’s literally hundreds of thousands of migrating birds. If you happen to be in Manitoba this time of year, It’s a great place to walk along the trail and shoot birds. Thank you very much for the tip Angelito! I have actually been thinking of going to Manitoba to photograph polar bears. I wonder if I could do a trip for both bears and birds? I’ll have to do some research on that. Many thanks for your comments. Many thanks for your comments Howard. Beautiful photos Anne… and some great tips. Thank you. Hi Anne absolutely love the bird photos. You have given me the incentive to try harder with the few birds we do have here. As we are in drought we only get to see Pelicans and Gulls with the occasional spoonbill or heron if we are lucky. Spoonbill!! I love spoonbills!! I have only seen them in Florida and I’ve been thinking of going back there just to see them again. They are most unusual birds. Glad you enjoyed the post, thanks for your comments. Want to get away from it all? Try a float trip down the Green River in SW Wyoming. The Green R. was where John Wesley Powell began his expedition to the Green and Colorado R. and the Grand Canyon and is lightly visited. In fact, on my several trips, I never saw another photographer on the river–just an occasional fisherman. Very quiet and loads of birds including bald eagles and wonderful scenery. Float the river in summer, of course, It’s 11 degrees F today and getting colder. Hi Mike, thank you so much for the suggestion. We have only been Wyoming once, and just for a short time at Devil’s Tower, but I would love to go back. Your tip is much appreciated! This is a link to an RV park that we used to stop at every fall and early spring on our snowbird trips. I was always amazed at the amount of birds in a small area. There is a heron and egret rookery and many other water birds and songbirds. It has a small pond and creek going through it and the early morning light and sundown seem to always be just right for photography. Excellent, thanks for the recommendation Nicole. We go pretty close to there on our way though so we’ll have to try that out next time if there are lots of birds there! I appreciate the tip.